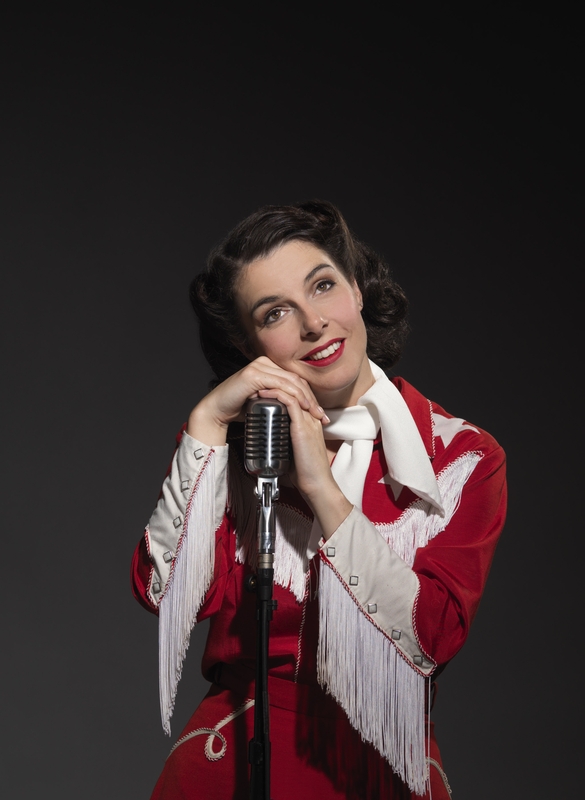 Sara-Jeanne Hosie in the Arts Club’s production of A Closer Walk with Patsy Cline. Photo by David Cooper. Written by Dean Regan. Directed by Shane Snow, with musical direction by Nico Rhodes, set and lighting design by Ted Roberts, and costume design by Norma Bowen. Starring Sara-Jeanne Hosie (White Christmas, Arts Club) and Kevin James. A Closer Walk with Patsy Cline, presented by the Arts Club On Tour in association with Chemainus Theatre Festival, runs from October 8 – November 15, 2010, at various theatres in North Vancouver, Maple Ridge, Surrey, West Vancouver, Coquitlam, Kelowna, Nelson, Cranbrook, Mission, Burnaby, Vernon, and Chilliwack. Tickets are available from the local theatres, click here for a more detailed schedule.